If you’re thinking of refinancing your home, you’re not alone. More and more people have been choosing to do so in recent years. But, not everyone knows exactly what refinancing is or when they should consider it as an option. As a result, many people miss out on saving hundreds per month on their mortgage. Additionally, people have no idea how much it costs. So, What Is Refinancing, Exactly? People often hear this term, but not everyone fully understands it. Put simply, refinancing your home means you’re essentially getting a new mortgage in an effort to save money. More often than not, people refinance their homes in order to save a little extra money each month on their payments. Not sure yet if it’s for you? Learn why you should give it some thought. While refinancing your home can help you save money in the long run, it isn’t free to do. In fact, there are numerous tasks you must complete that all influence the price you’ll have to pay. It all starts with these things. This is an unavoidable expense that homeowners have to pay to begin the refinancing process (even if their refinancing is unapproved). Not all lenders charge applications fees. However, if money is particularly tight it would be in your best interest to shop around. Depending on the lender, fees typically range from a little under $100 to around $300. You won’t be able to refinance your home without first having a professional property inspector take a look inside. If your home doesn’t meet structural standards, you won’t be getting approved for your application. The inspector will look at things like wiring, plumbing, and any potential hazards that could pose a threat to people in your home (such as asbestos or pest infestations). The fee you’ll pay for an inspection depends on factors like your property’s overall size and how difficult it is for the inspector to navigate to crucial areas in your home. Inspections generally cost anywhere from a few hundred dollars to just shy of a thousand dollars. As if paying for inspection weren’t enough, you’ll also have to get your home appraised by a professional. 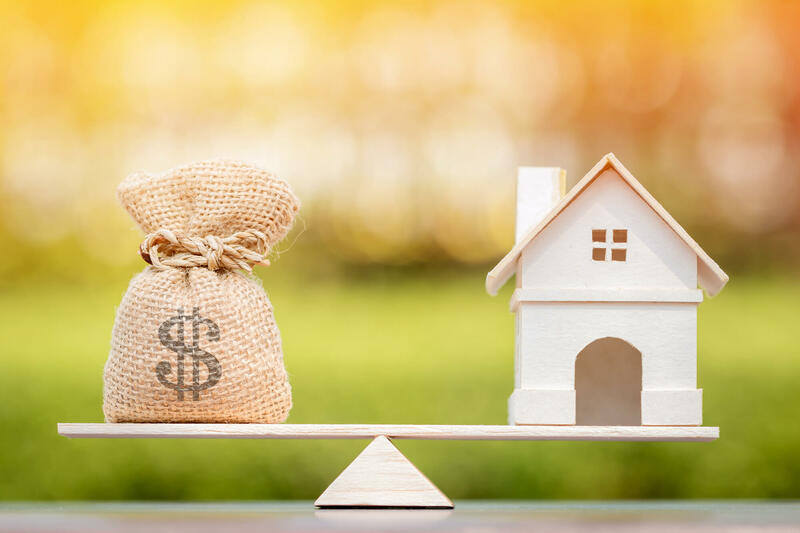 This will determine the value your home has on the market, which is crucial information the lender needs before they agree to approve your refinance application. As with inspections, the total cost depends on factors like property size and navigability. Appraisal fees are very similar to inspection charges, ranging from a few hundred dollars to a little below a thousand. If your home is in a flood zone, you’re going to need flood insurance before a lender will consider accepting your refinance application. Unfortunately, you can’t simply apply for flood insurance without hiring a professional to survey your land. This will allow the insurance company to adjust your premium based on the risk your home has of flooding. You may be in luck in some cases, though. By contacting your local municipal government, you’ll be able to see if there is already a land survey report for your property. You’ll be able to forego the surveyor fee if there is information on file. If not, you’re looking at around $200-$300 to pay your surveyor. Legal documents take plenty of time and careful attention to prepare, so they don’t come for free. They can also be pricy, often in the range of $400-$500. There’s also a separate fee, known as a recording fee that homeowners have to pay. This makes the refinancing process part of public record, and the cost is highly variable depending on your location and local government. Finally, we have the fee you’ll need to pay an attorney in order for them to review all of your documents. While it isn’t always required to consult an attorney before signing, it’s in your best interest to do so. As for cost, that depends on how involved your attorney is in the process. If they’re just reviewing documents before giving the go-ahead, it could be a few hundred dollars. If they’re with you through multiple steps of the refinancing process, however, you could easily rack up over $1000 in fees. Homeowners also have to pay the lender a fee for hiring a title company to research the title of their home. This involves going through databases, deeds, and court records in order to make sure the applicant is the rightful owner of the property. Title companies also investigate whether or not there are any outstanding claims on the property. For example, if you hired a contract worker to do a job on your property but didn’t adequately compensate them, they could put a lien on your home and cause a vast number of complications. If all your records are clean, however, you’ll be good to go. On average, title fees are around $300. With the above information in mind, you won’t find yourself asking “how much does it cost to refinance?” anytime soon. Want to learn more about your options for refinancing your mortgage? This article has plenty of useful information. For more lifestyle tips, check out the rest of our blog!